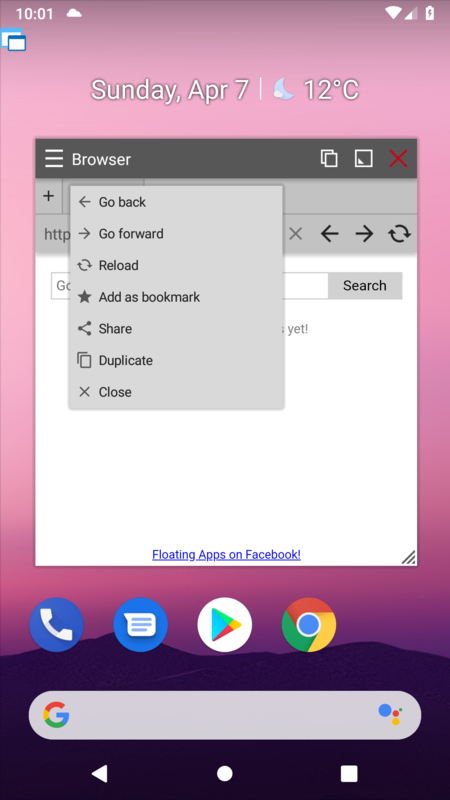 The floating browser is the most frequently updated app, and version 4.10 follows the trend and brings new features as well. 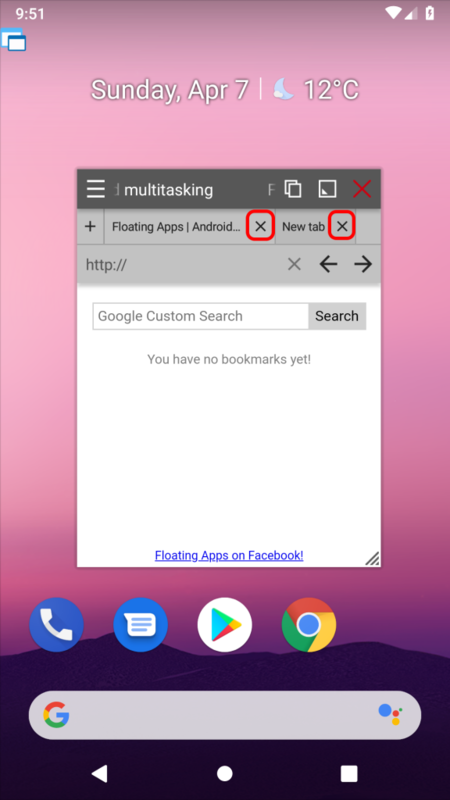 Tabs have been changed the most – they come with separate close button for each of tabs as opposed to the single close button known from previous versions. 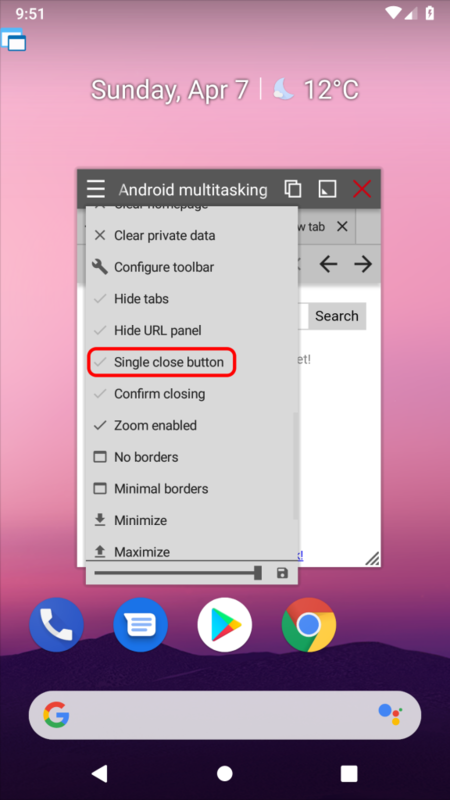 However, you can still use “Single close button” by checking the option in the window menu. 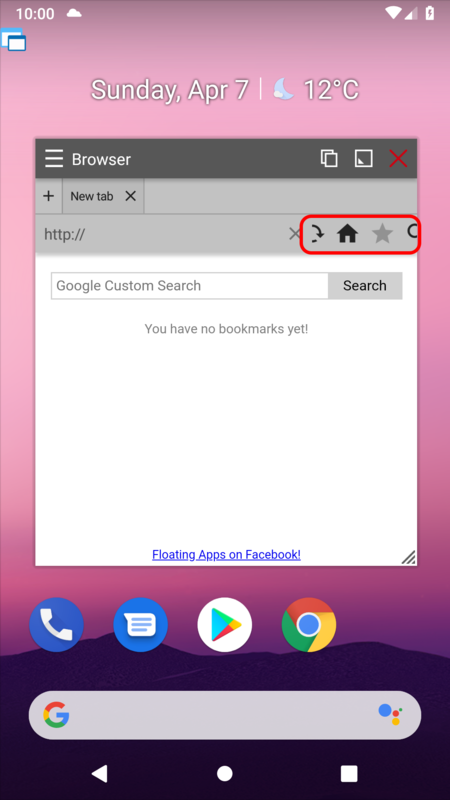 There is also another significant change to the browser tabs. You can long tap them to show a context menu with useful options. One of these options is unique and not available anywhere else – Duplicate! Another critical change is a horizontally scrollable toolbar. In the previous versions, only icons that fit the size of the window were visible. You could reconfigure the toolbar for your needs, but in many situations, you hadn’t available everything you want and need. In version 4.10, the toolbar shows more icons if more space is available. However, you can access all configured actions by scrolling. That’s super awesome ;-). ‘Search on web’ button can be now configured to appear on the toolbar. Problem with reloading the home page after closing the last tab is fixed. History and download history items are now opened in a new tab. Do you like the changes? The floating browser is getting better and better. It started as a single window with just a URL bar and back/forward/reload buttons and has evolved into almost full-featured browser! Next: Next post: Version 4.10 is out!